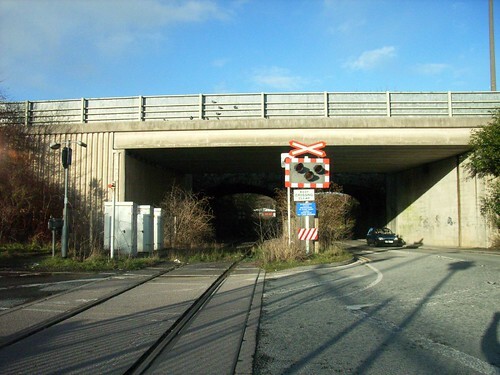 There are actually two bridges alongside each other here, each one carries a separate carriageway of Plymouth Road over the old branch line which now just serves the China Clay Works at Coypool. Coypool road runs alongside the track. Behind me, is Tavistock Junction which I hope to feature in a posting shortly. 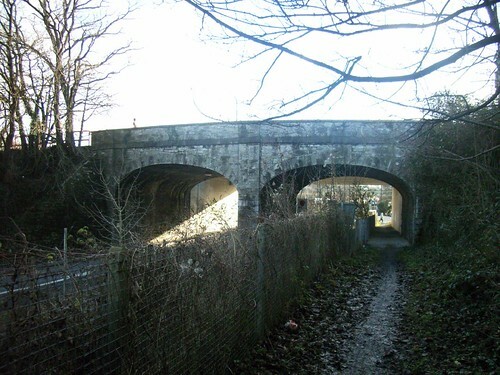 Looking back from the other side of the road, on the Plympton bound side, we see the original bridge which is a much more traditional stone built structure although you wouldn't know it from the main road itself. There used to be a station here when this was a main branch line to Tavistock.